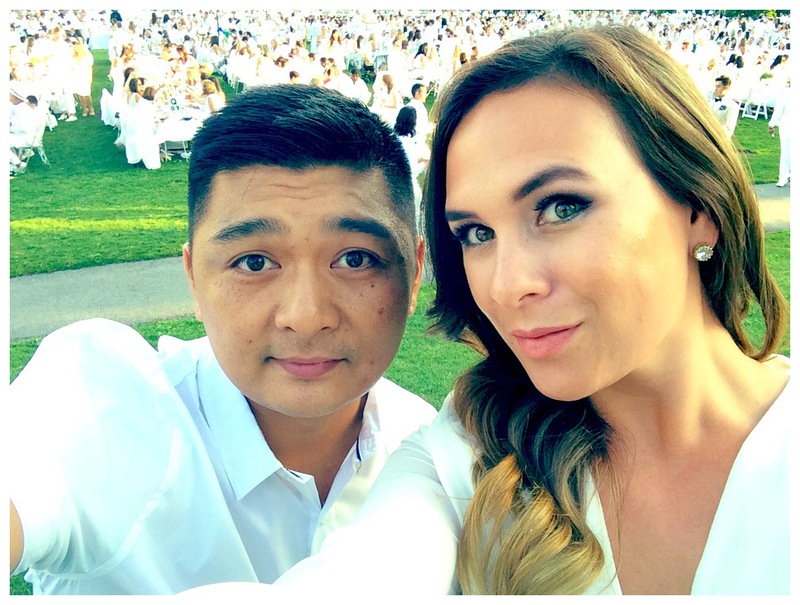 Last night I had the pleasure of attending Diner en Blanc with my husband and a few close friends. Here is a gallery of photos from the event. 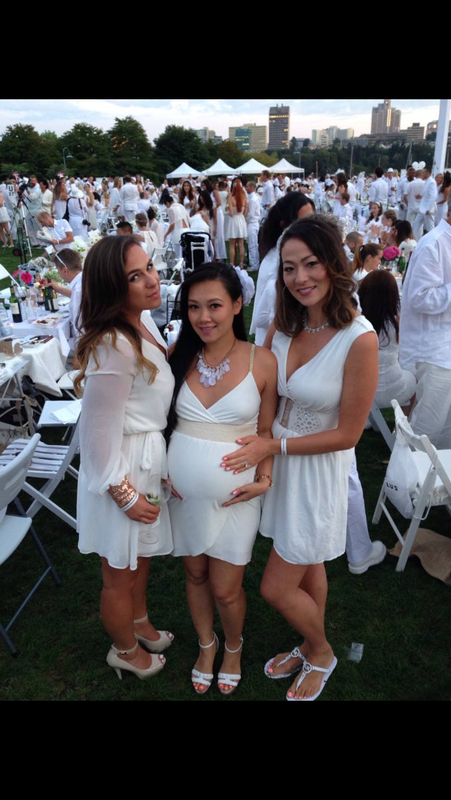 Since it’s an event where everyone gets decked out (in white) I thought it would be the perfect Fashion Friday post! We brought our own white folding table and two chairs to the event. I added some led candles,since flames are prohibited. 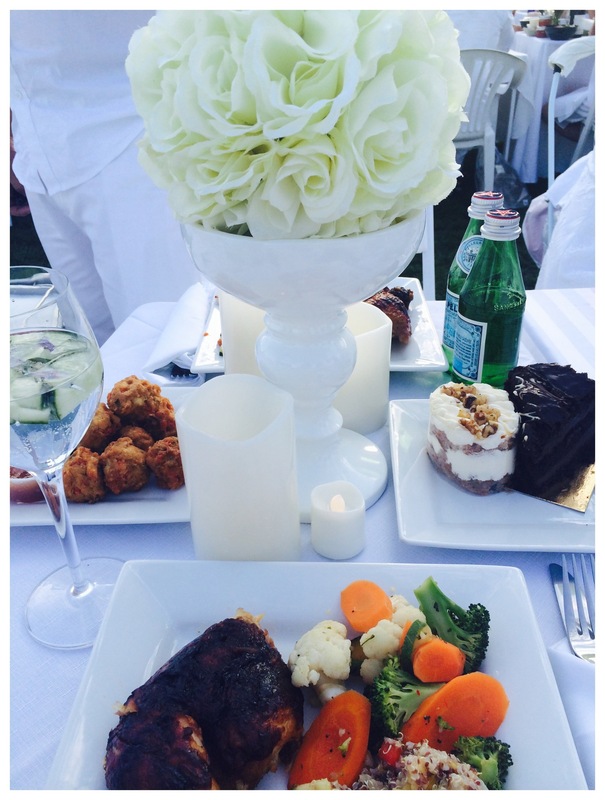 I brought white plates,cutlery,some cloth napkins and wine glasses. I also grabbed a fake flower ball off my coffee table in our formal living room ,and stuck it in a vase for the centerpiece. 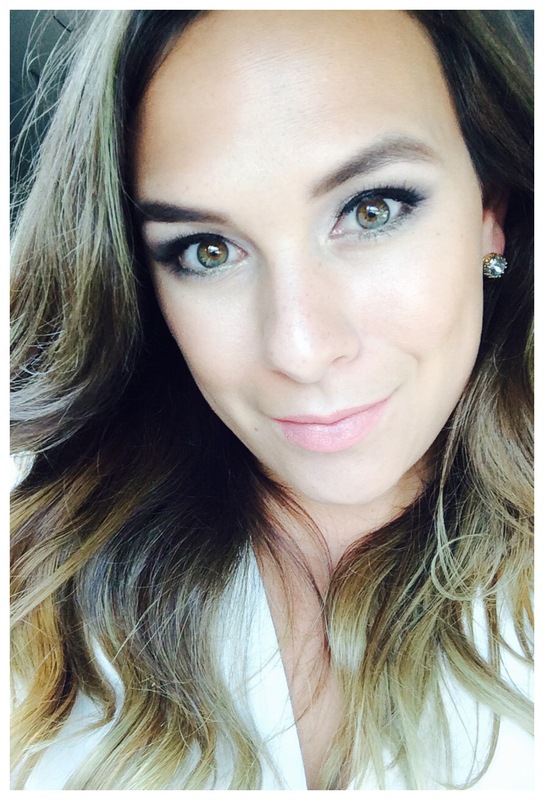 I wore lots of Make-up. This photo was taken in the car, without a filter. I guess the lighting was good. This is not my normal, every day look, and I did feel a bit weird having so much make-up on, but it felt nice to get a little fancy. 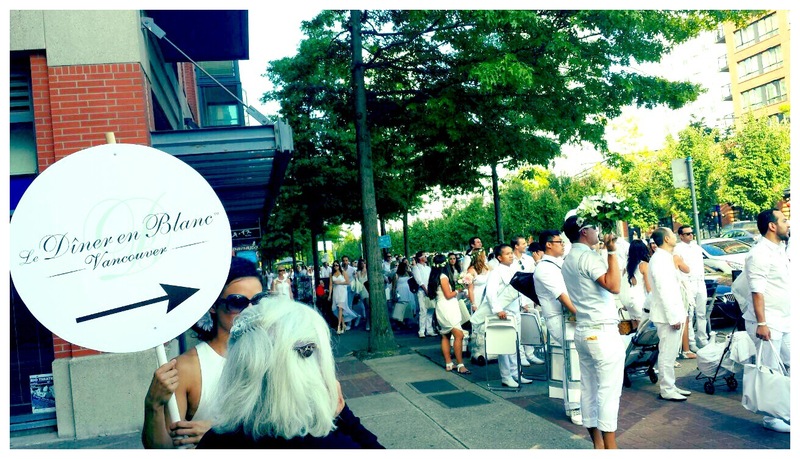 The interesting part about the Diner en Blanc event is that you don’t find out where the venue is, until the day of! Here’s a photo of the streets of Yale Town flooded in blanc!!! I love the girls in white holding up signs pointing us in the right direction. 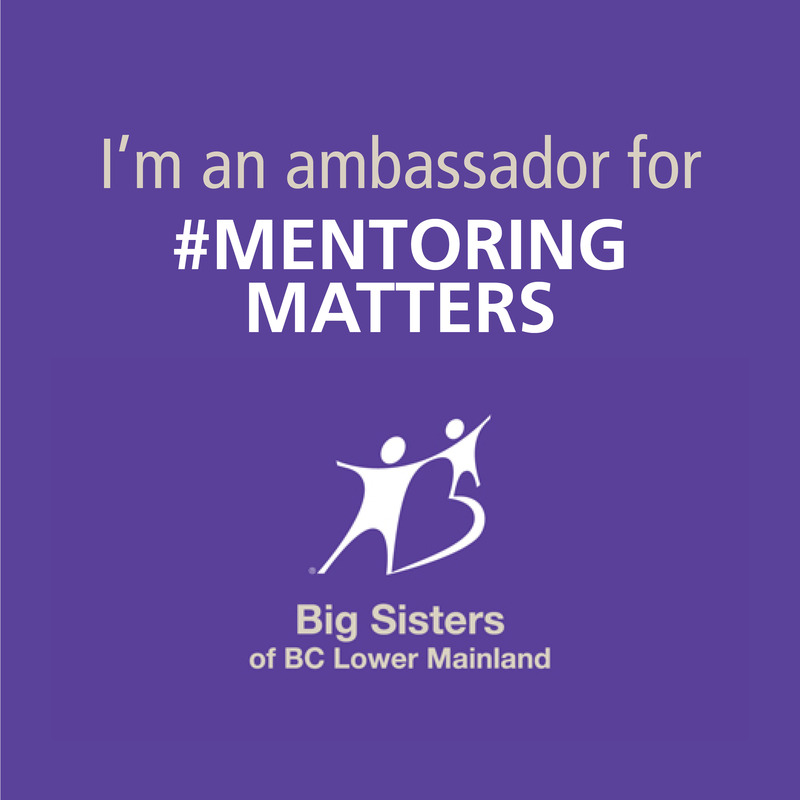 The event ended up being at David Lam Park, this year. 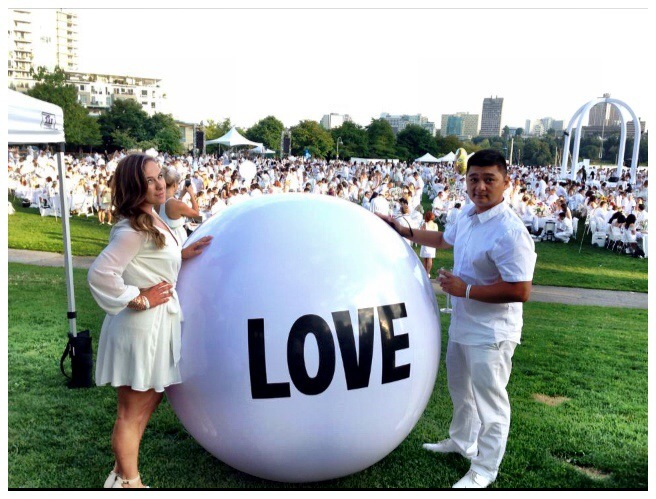 We love the big love balls that were scattered around the park. They were perfect for photo ops! 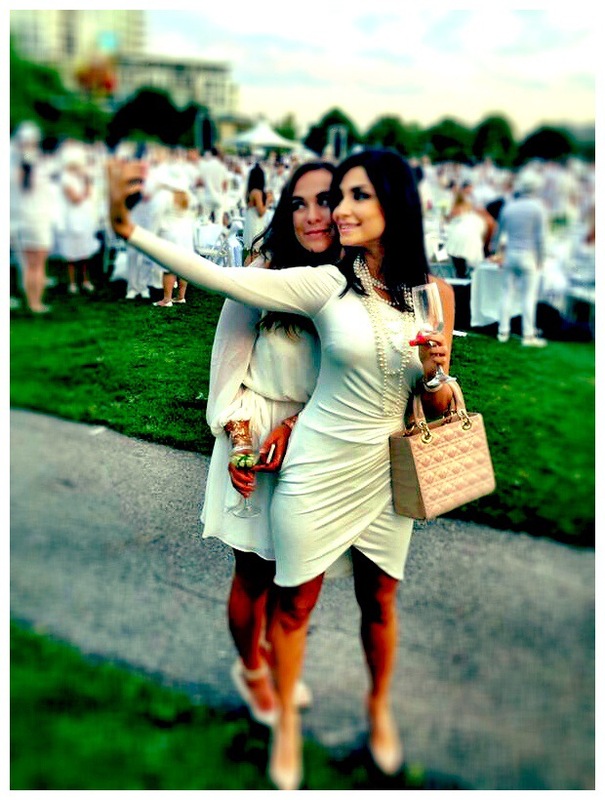 My best friend looked stunning in white. I love that she added the white flower in her hair! Pregnancy looks great on her! 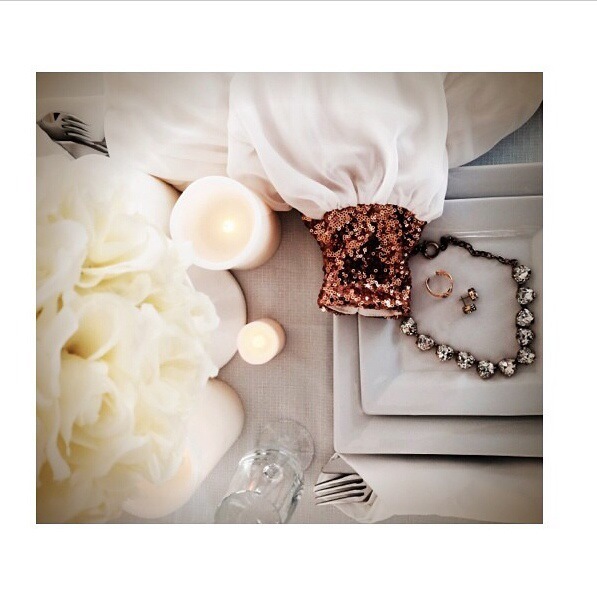 My husband and I were very last minute when it came to preparing our dinner for the event. We went to Urban Fair and picked up our entire three course meal! Just love that place! It was a pleasure bumping into girlfriends at the event, and you can’t bump into one another without taking a few photos! My outfit of the evening was a dress from Asos.com, shoes from Marciano and of course some Stella and Dot bling. 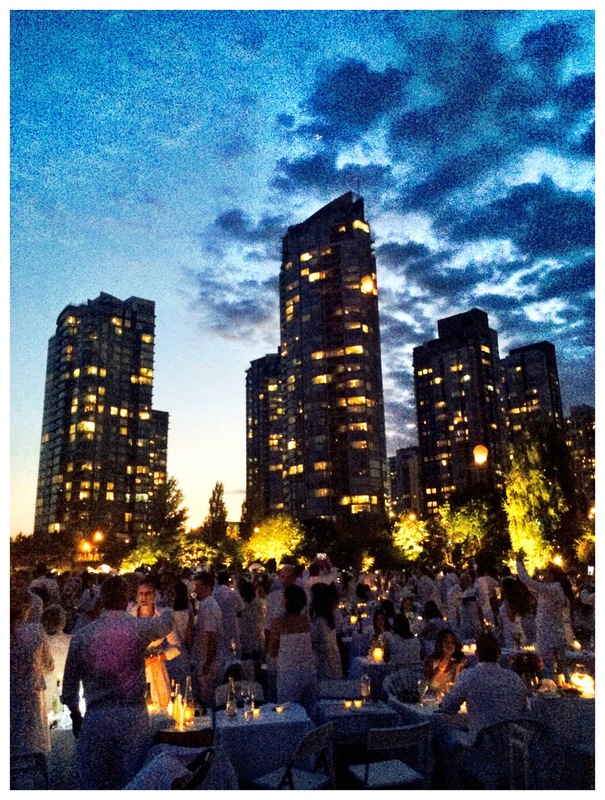 When the sun went down and all the candles were lit up, David Lam Park looked spectacular! The photo bomber in this photo was most definitely enjoying his dinner!! 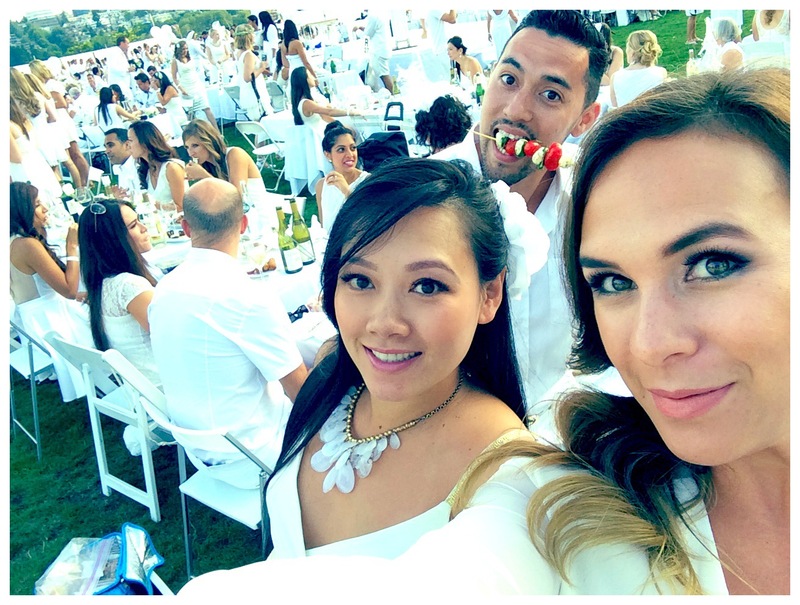 A huge thank you to my dear friend, who’s wonderful husband invited us to Diner en Blanc. Once you go, you can attend every year! 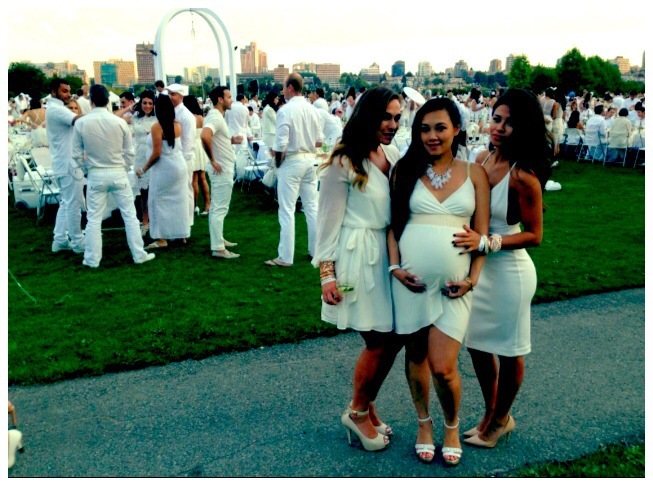 I’m not going to lie,preparing for Diner en Blanc wasn’t a piece of cake. However, once you are there and get all set-up, it’s all worth it! We really enjoyed our kid-free evening and look forward to next years picnic in the park! Always wanted to participate in one. It looks wonderful. It was a blast! I really enjoyed the entire experience. When the lights went down and the whole park was lot up with candles, it looked amazing! The crowd was also very friendly!